Work Performed: Crews will improve track infrastructure, including rail joint elimination and fastener replacement between Farrgut North and Van Ness. 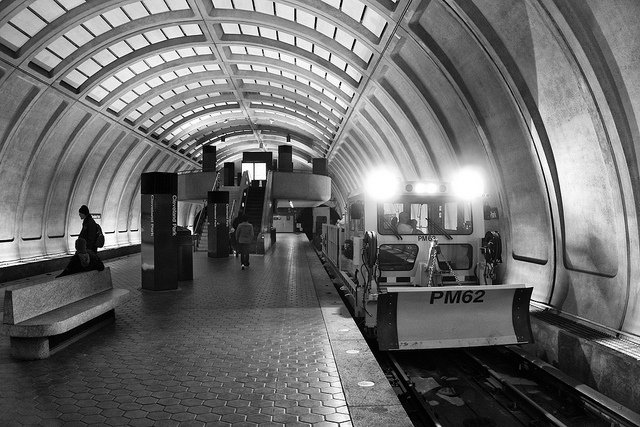 Yellow Line trains will operate every 24 minutes throughout the weekend. All trains will operate to/from Mt Vernon Sq, rather than Fort Totten. Riders traveling to/from stations north of Mt Vernon Sq should use Green Line trains and transfer at Mt Vernon Sq. Traffic South of Massachusetts Avenue, NW, North of F Street, NW, East of 9th Street, NW, and West of 5th Street, NW will be redirected during the hours of 2:00 pm to 5:30 pm. Floats and vehicles in parade will travel north on 7th Street, NW and east onto Eye Street, NW and disband.